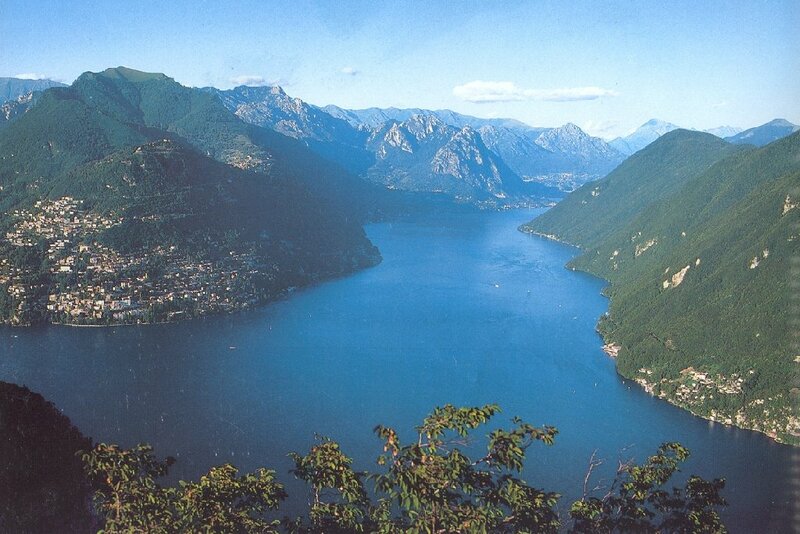 Lugano and Ticino: pictures IDSIA is located in Manno near Lugano, Ticino (the southern part of Switzerland). Small pictures by J. Schmidhuber. This is a view of Lago di Lugano from San Salvatore. Lugano city is not fully visible here, but part of it can be seen on the left. The smaller mountain to the left (with houses on it) is Monte Brè. Behind Brè is the larger Monte Boglio. At the end of the lake is the Italian city of Porlezza.